Orchardists fear the State Government has put the final nail in the coffin of Bundaberg’s fruit-growing industry, after it dismissed a proposal to help them protect their crops against flying foxes. Growers were banned from culling the pests last year, but they launched a desperate appeal to overturn the decision after losing more than 40 per cent of some crops — and millions of dollars across the region. But Climate Change and Sustainability Minister Kate Jones last week shattered their hopes, saying the draft Code of Practice suggested by Bundaberg Orchardists Association and Bundaberg Fruit and Vegetable Growers could not be accepted because it suggested culling methods. Lychee grower and Bundaberg Orchardists Association president John Kajewski said he was receiving phone calls from three or four growers every day, who were considering walking away from their farms because of the costs involved with non-lethal pest control methods. “We don’t eat, we don’t sleep — it’s a 24-hour worry,” Mr Kajewski said. “This is going to be disastrous for the industry.” He has spent more than $150,000 on a lighting system to protect his orchards, but said the losses were still devastating. “Last year we lost 40% of our crops across the board,” he said. “Some growers will lose hundreds of thousands of dollars every season.” He said he was disappointed that Ms Jones had not visited the region to see the damage first hand. 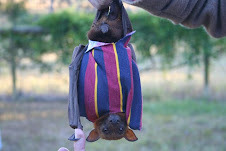 “They can shoot (flying foxes) in New South Wales – why can’t we?” he asked. Minister for Primary Industries, Fisheries and Rural and Regional Queensland Tim Mulherin said a long-term flying fox research program was in place to explore their behaviour and examine control methods, including a trial at Childers.